Just then he happened to see a little snake passing by who had caught a worm. 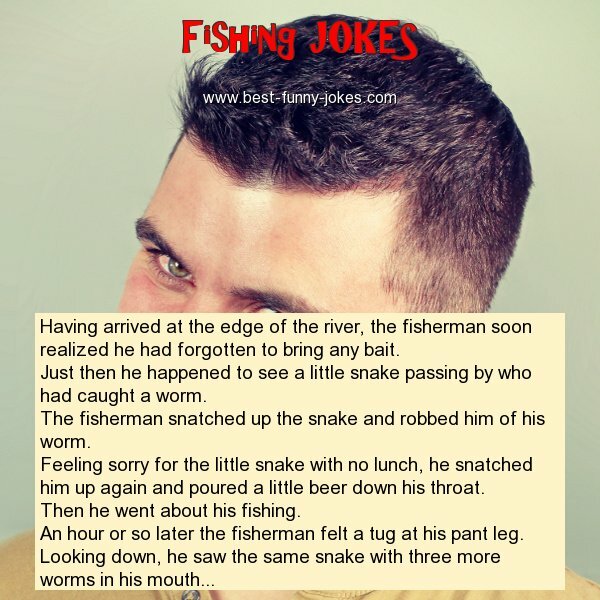 The fisherman snatched up the snake and robbed him of his worm. Feeling sorry for the little snake with no lunch, he snatched him up again and poured a little beer down his throat. An hour or so later the fisherman felt a tug at his pant leg.